Franklin Delano Roosevelt uttered those immortal words in his 1933 Inaugural Address. While they then applied to his country in the throes of the Great Depression, they can have numerous other applications, among them to writers who have been intimidated by the iron hand of traditional publishing. Under the wings of that old and revered industry, unknown authors were transformed into household names, and best sellers sprang forth from mediocre works—with the help of competent editors. Then as now, however, these were the exceptions; most hopeful writers who submitted manuscripts received form letters rejecting their work. A privileged few got personalized responses, and a tiny minority went on to be published. Writers pour heart and soul into their work, only to have their hopes crushed by rejection after rejection. The keynote speaker at a seminar I attended a few years ago suggested that we toughen up; he said, "Our books are not our babies." Really? I have yet to work with an author who has severed herself from her work. That umbilical cord typically remains intact throughout the writing process and often well beyond, and those rejection letters hurt. Then, when they keep coming, they begin to generate fear—fear that our work isn’t good enough, fear that we aren’t good enough, fear that we will never realize our dream of being a published writer, etc. Those same fears, on the other hand, helped to generate the environment out of which grew the new world of publishing. Today, independent/self-publishing rivals the old system and the old ways. Once considered the illegitimate child of the industry, it now is coming into its own as more and more independently published authors’ works are being recognized as worthy of a serious read. For the first time, we control what we do in the industry that once exerted total control over us and our publishing future. 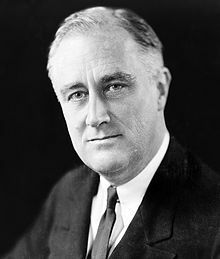 Franklin Roosevelt had the right idea: the only thing we have to fear is fear itself. And what would that fear be now? That our own short-sightedness in not taking every necessary step to make our books stand out in excellence in the re-invented world of publishing would limit our opportunity for success? What are your fears about publishing? Do you feel your opportunities for publication are better today than they have ever been? How have you handled your fears about becoming a published writer? Linda Lane writes, edits, and publishes books. She supports independent and self-publishing by responsible writers who strive to make the new face of publishing as revered as its counterpart from generations past. Visit her at www.denvereditor.com. Some friends and I are starting up a publishing cupboard (we're too small to be a house) to sell out own work on Amazon. Together we can do more marketing and have less stress than if we did it alone. Small can be beautiful...unless you want to be a multi-millionaire. Martin, I love the idea of a publishing cupboard. What a great line for marketing. I think this is a great time for authors with all the avenues for e-books and being an independent. Great idea, Martin! Small is what self-publishing and independent publishing are all about. Your publishing cupboard (I love the name!) with your writing friends may yield benefits far beyond your expectations because the synergy that comes from collaboration can be quite surprising and effective. I wish all of you much success on this project! Yep, small is where it's at ... my little publishing concern is so small that I appear to be it's only customer ... but I'm a fanatical one! Linda, What a lovely post. The world seems constantly in flux between poles, doesn't it? Conservative and liberal, smaller companies and conglomerates, homesteading and division of labor. My biggest fear, as we come into this time of homesteading in the publishing world, is that maybe all authors can't--and shouldn't--do all things. That in order to perpetuate the industry, we'll still need experts in editing and design and marketing and distribution. And that, already forced to work for free for a decade or more to up their competitive writing game, "indie" authors must then invest in themselves even further to hire said designers and marketers and distributors, in a field so crowded with sub-standard fare their brilliant work will never be found. Your concerns are so valid, Kathryn. All the things that used to be done by the big publishing houses now fall on the shoulders of unprepared and inexperienced writers — to say nothing of the pre- and post-publishing expenses. Yes, the rules of the game have changed. Nonetheless, many (including you an me) are doing their part to raise the standard on independently and self-published books. Little by little, it's getting better as greater numbers of writers are coming to terms with their need for editors, book designers, etc. Hopefully, those brilliant gems will surface from the mountain of substandard works to illuminate the world of waiting readers. Maryann, it is a great time for authors, probably the best ever. We just have to educate ourselves to function effectively in the new world of publishing. I'm always wanted to get published--have people read and like what I wrote. But I've never been afraid of either not getting published or getting published, and have come to appreciate the journey more than anything else. I think if we don't do this, we might be disappointed. And why be disappointed when there are so many wonderful things in the world to be involved in -- and all the wonderful books to read that HAVE been published. But this is a great time for writers. We can all self-publish. So as I say this I guess I do have one fear: that what I put out there on my own (with help from some good CPs) won't be as good as I want it to be. It isn't easy to write a story in the first place, and even more difficult to polish it for publication. And what a great idea: Martin's publishing cupboard. I have always wanted to collaborate, and I guess I'm doing that in a way right as I'm ghost writing a memoir for a friend. I am having a wonderful time. Thank you for your kind words, Ann Best. This is a great time for writers, but it's also a time of responsibility. We've been released from the oppressive yoke of traditional publishing that sent most of us packing, but now we need to do all the things for ourselves that it did for the favored few it accepted. One of the best ways to do that is to hire an editor. However, this sometimes isn't possible because of cost or other reasons. Collaborating with a fellow writer whose work you admire and who demonstrates good writing skills in his/her work might address that issue. She can "edit" your work, and you can "edit" hers. Using the Chicago Manual of Style as a grammar guideline might be a good idea, and you both need to be honest about what works and what doesn't work in the other's writing. Joining a critique group is another option. Check one or more of these out to see if it's a good fit. Not all such groups are created equal, so be selective. One of the most important elements is to have a good time at what you're doing, and you've already got that one down. I wish you much success in your ghostwriting adventure and with your own stories. Thank you for sharing.